Are you a fan of a movie Paper Town? If yes you must be familiar with a girl who portrayed the role of Becca Arrington. Well, she is none other than Caitlin Carver who is making a great impact on (Read more)…. Annie Wersching is an American actress best known for her role as FBI Special Agent Renee Walker in the American television series 24. Moreover, she played a role of Port Charles’ ex-Amelia Joffe on the soap opera, General Hospital. In 2017, She began playing Leslie Dean on the TV (Read more)…. Are you a fan of a movie “Losing in Love?” If so then you must be familiar with the name Claudia Doumit. Doumit is an Australian actress. She portrayed various important roles in popular TV shows and films as Jiya Marri on Timeless, Joey in Losing (Read more)…. 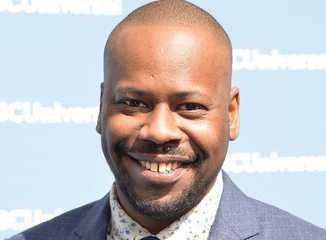 An American actor, Malcolm Barrett is best known for his recurring role on television shows like The Soul Man and Better Off Ted, Preacher, Key & Peele and much more. Additionally, Malcolm is highly recognized as Rufus Carline on the NBC sitcom Timeless. Further, (Read more)….